4 Bedroom Detached House For Sale in Devon for £425,950. set within a countryside location on the outskirts of the historical coastal town of Seaton, Devon. Gardiners Meadow is an stunning development from the noted New Homes Developer Baker Estates. 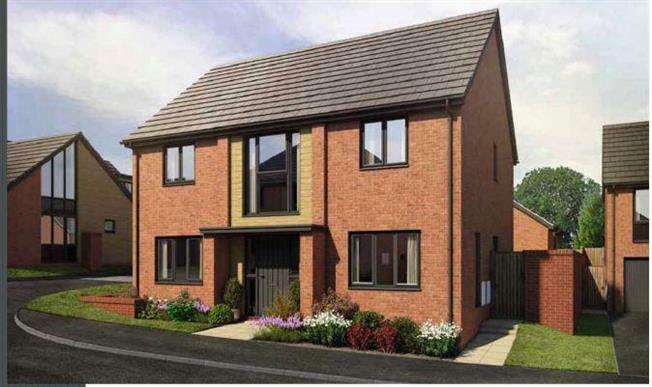 The homes at Gardiners Meadow will be built using a mix of modern and natural materials, with landscaping to enhance and blend in with the local environment. A range of thoughfully designed, light and airy homes built to a high specification, and with energy efficiency, these stunning homes will be modern living at it's best! This wonderful new address will be enjoyed for generations to come. Home 7- The Otis is one of the stunning homes at Gardiners Meadow.The Otis is detached 4 bedroom home has a great sized kitchen/breakfast/family area, with a separate utility room, living room and open plan dining area. The master bedroom has its own en suite shower room. Detached garage, garden & parking. Reserve off plan with anticipated completion Summer 2019.